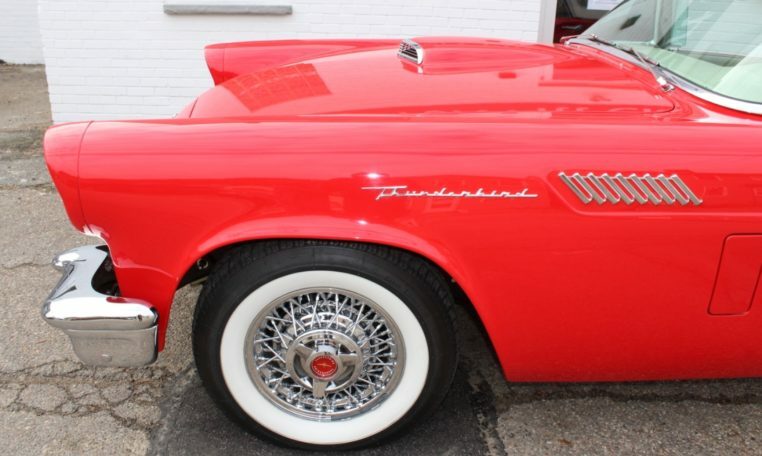 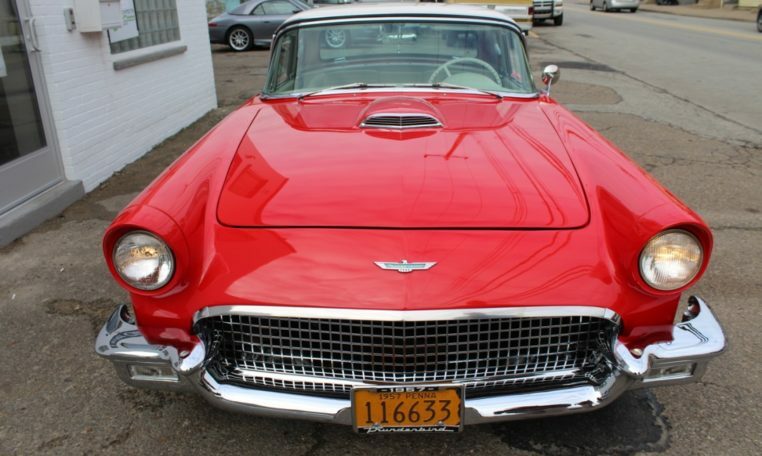 This 1957 Ford Thunderbird is the pinnacle of 1950’s style. 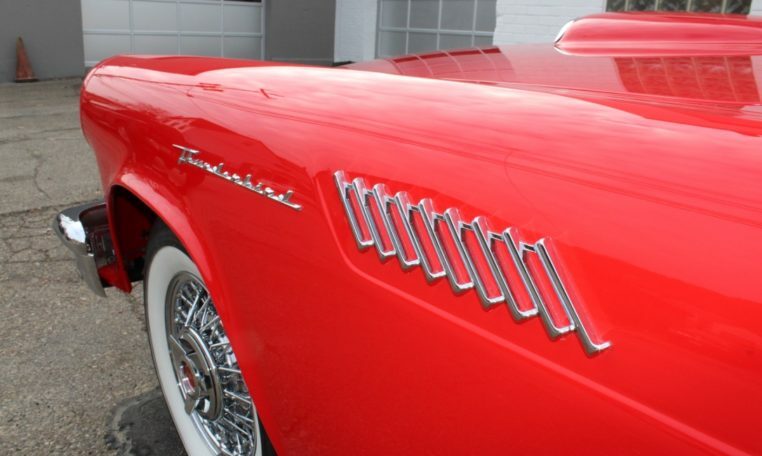 The T-bird is a two seater boulevard cruiser and one of the first personal luxury coupes. 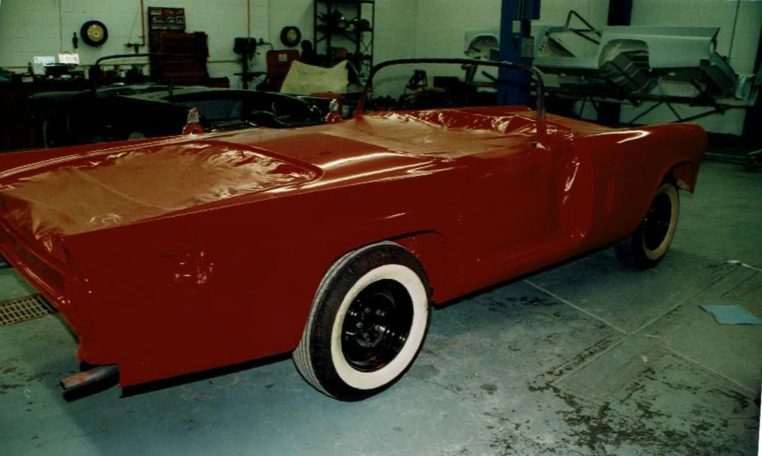 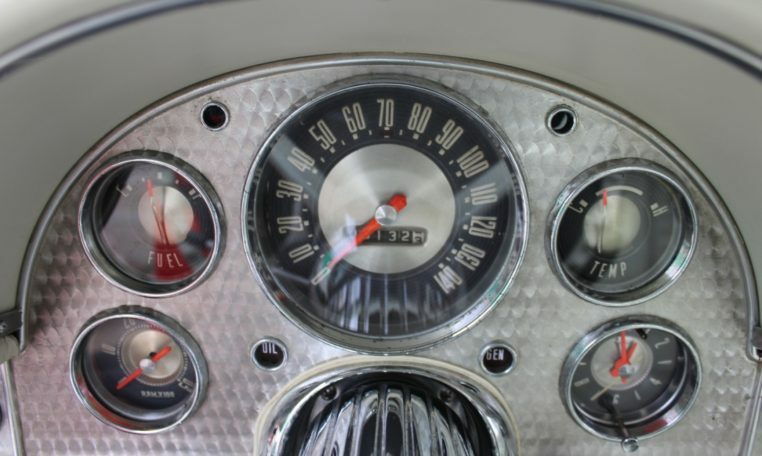 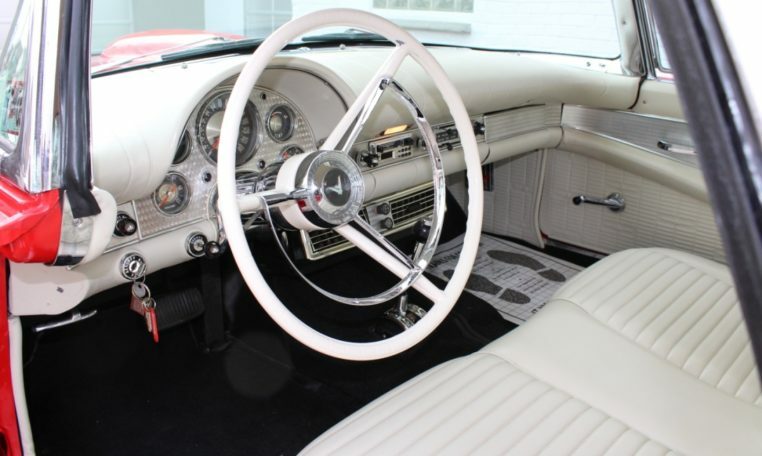 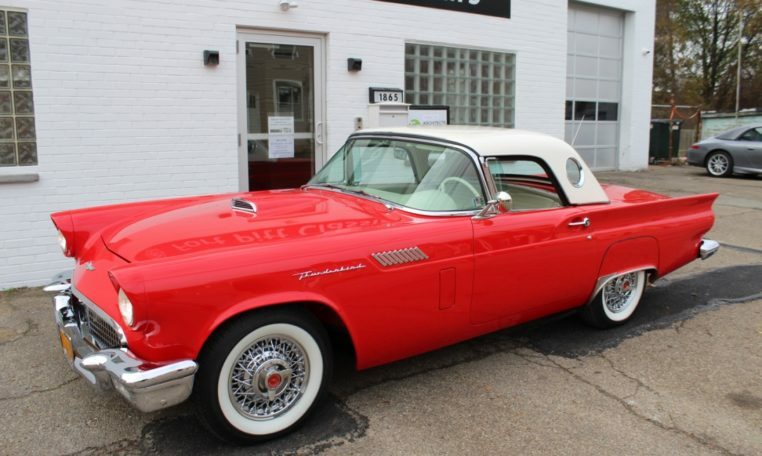 This particular 1957 ‘Bird has been rotisserie restored and meticulously maintained. 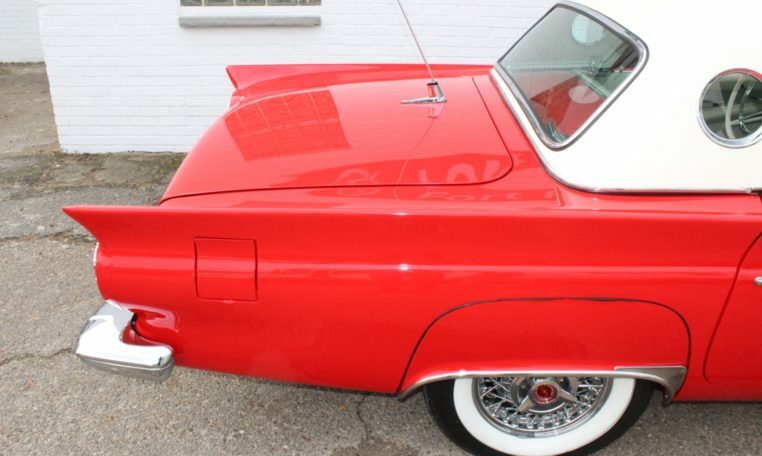 It’s optioned with the 312 V8, Ford-O-Matic, Factory A/C, and Porthole Top. 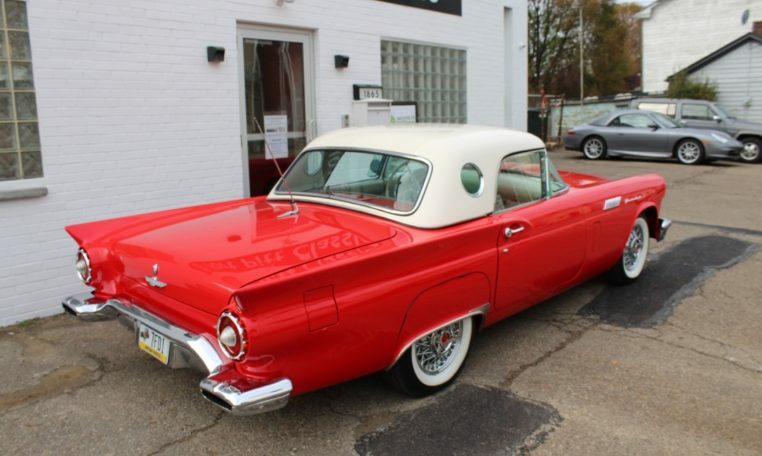 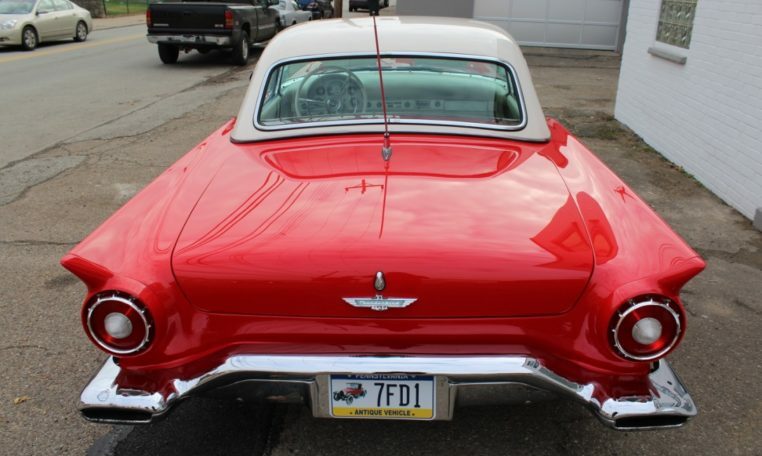 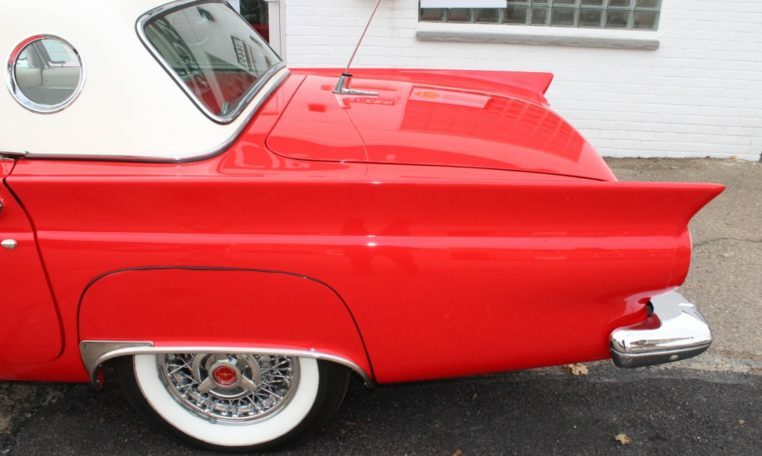 You would be hard pressed to find a cleaner 1957 Thunderbird. 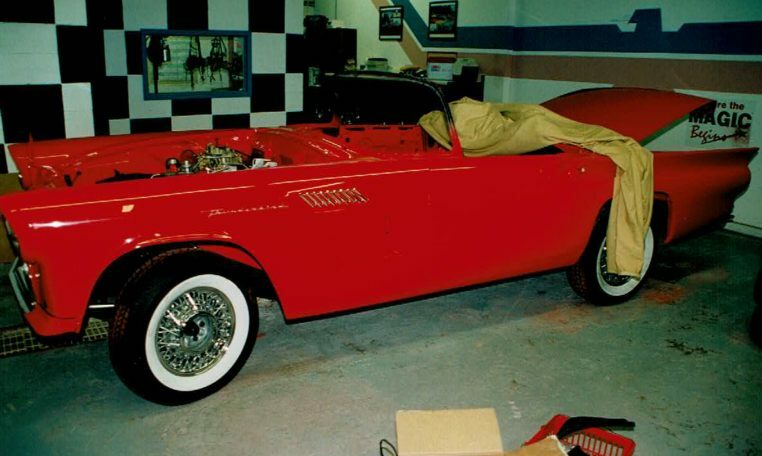 Rotisserie restored by the T-Bird Specialist Classic Auto Supply Co. in 1998, you won’t find any flaws on the body of this car. 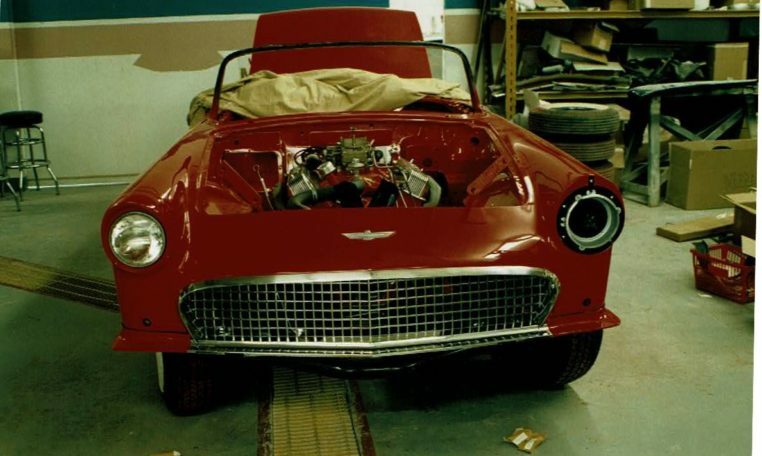 The seller included a complete set of restoration invoices and photographs of the restoration. 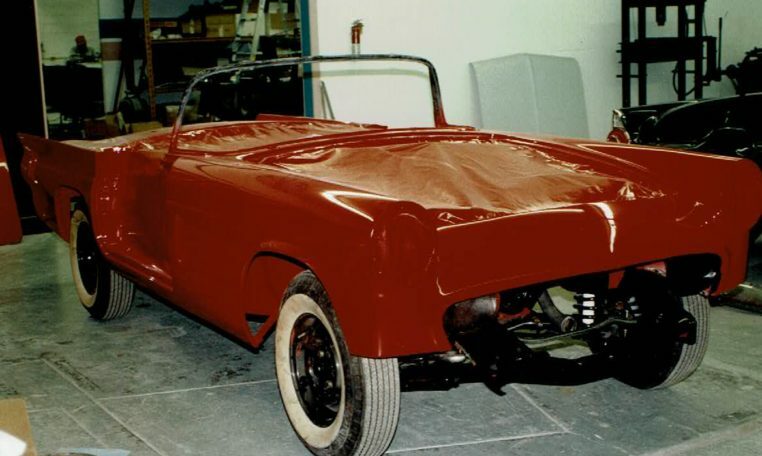 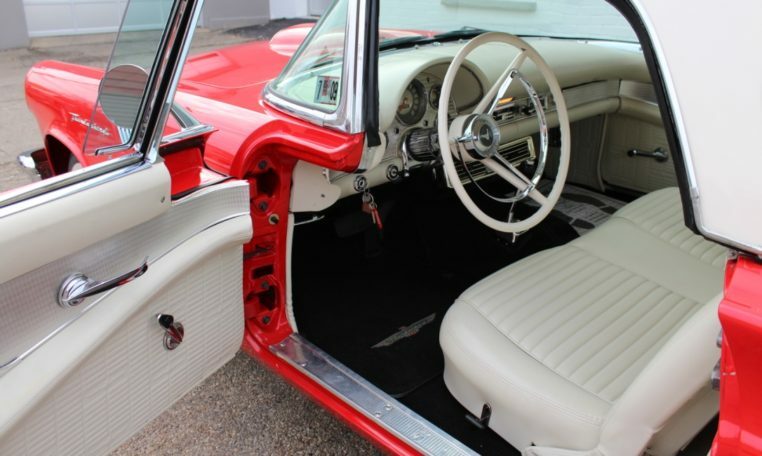 Since the restoration, the owner kept the car in his climate controlled garage year round, only driving about 500 miles during his ownership. 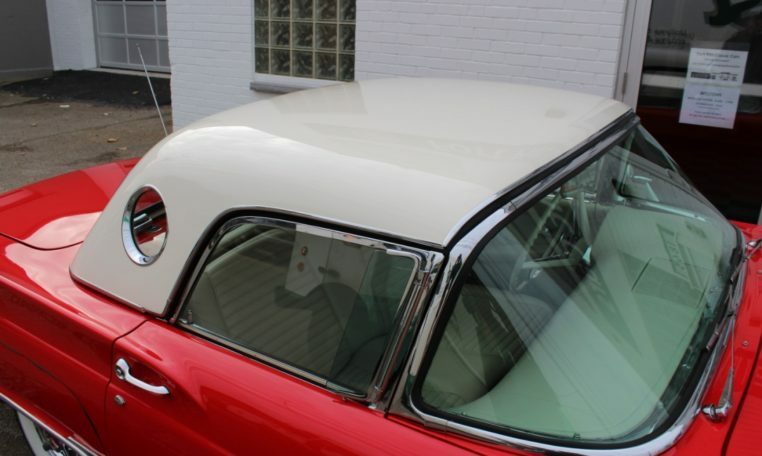 The paint shows extremely well for an older restoration. 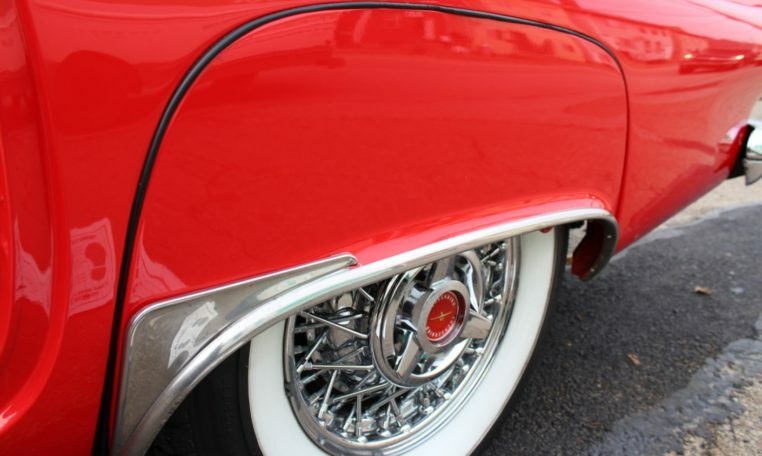 There are no dings, orange peel, or corrosion anywhere on the car. 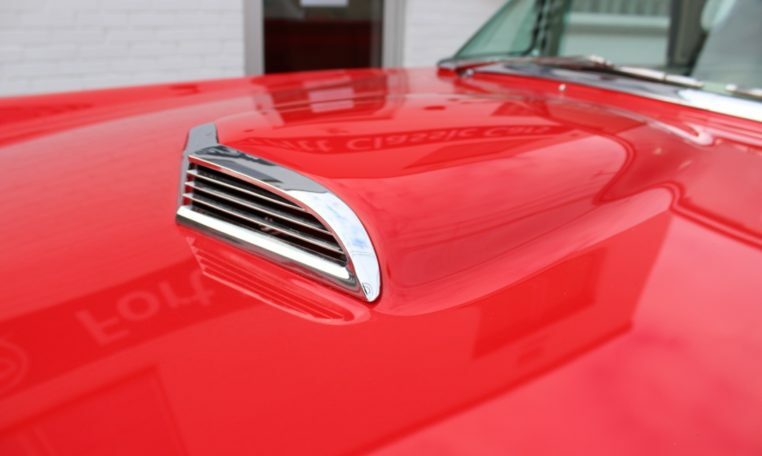 The reconditioned chrome and brightwork are in excellent shape. 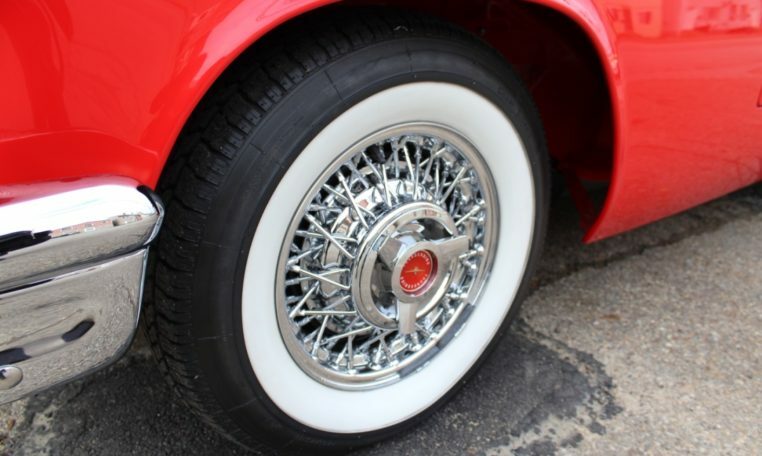 Wire wheels with whitewall tires complete the look. 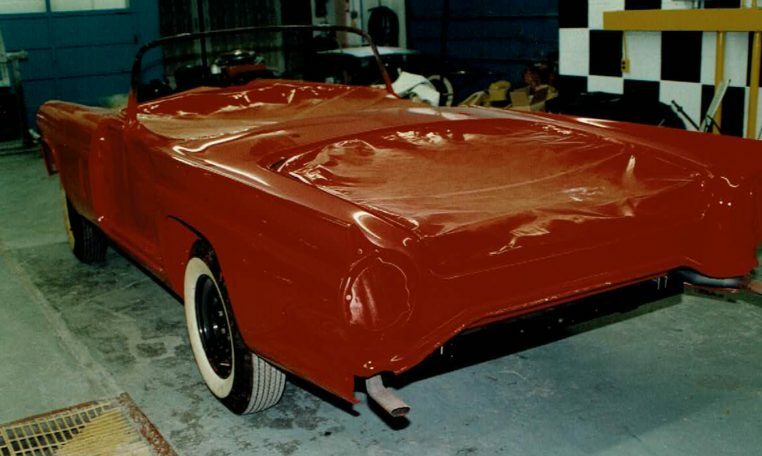 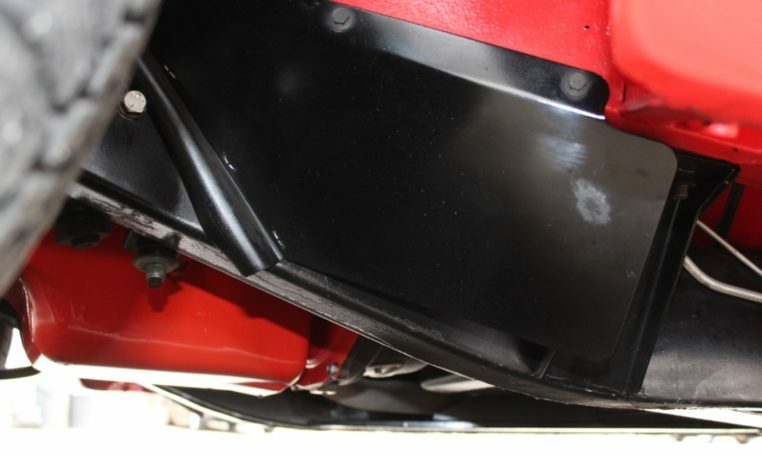 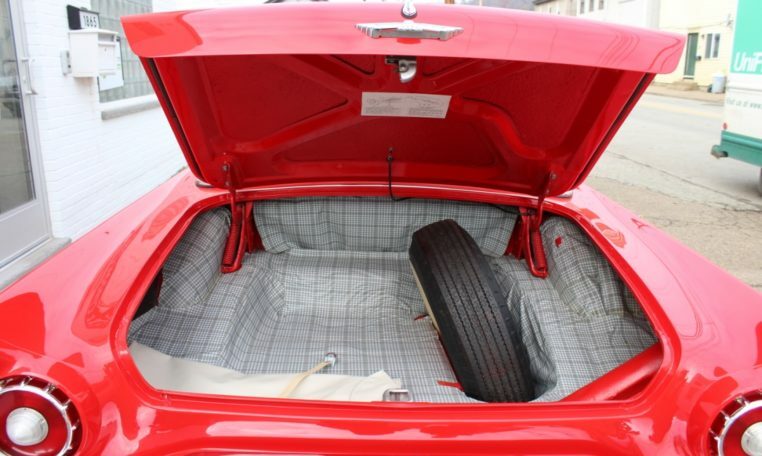 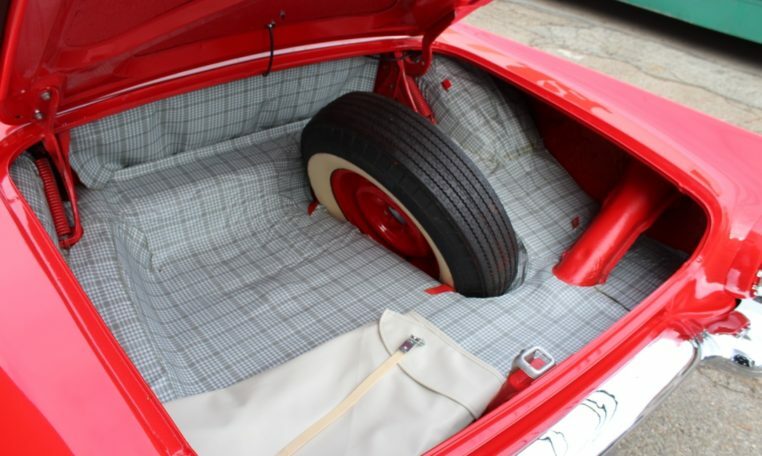 Underneath, the floors are painted body color and show as nice as the top of the car. 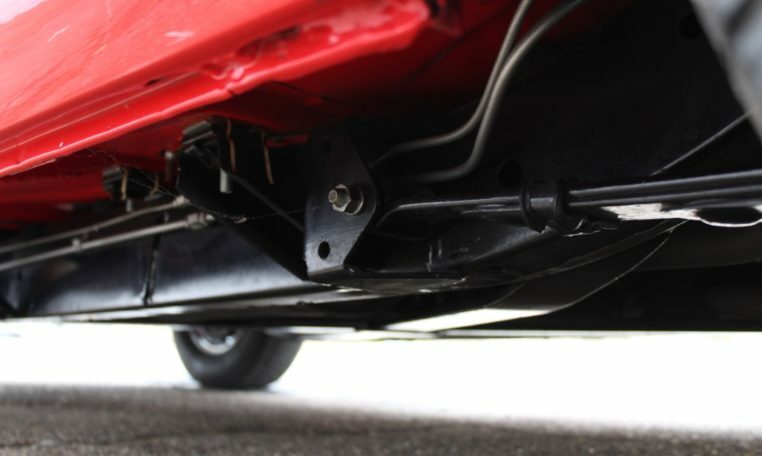 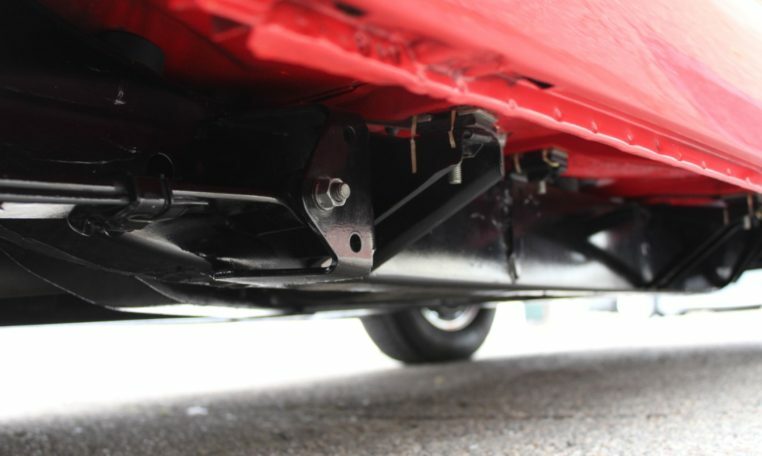 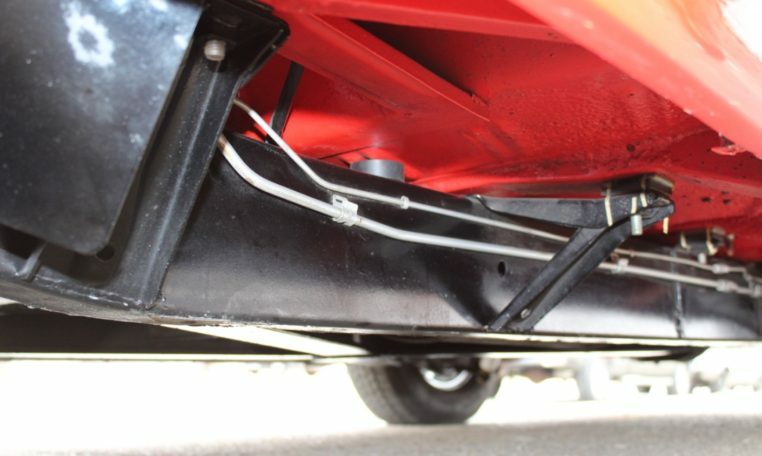 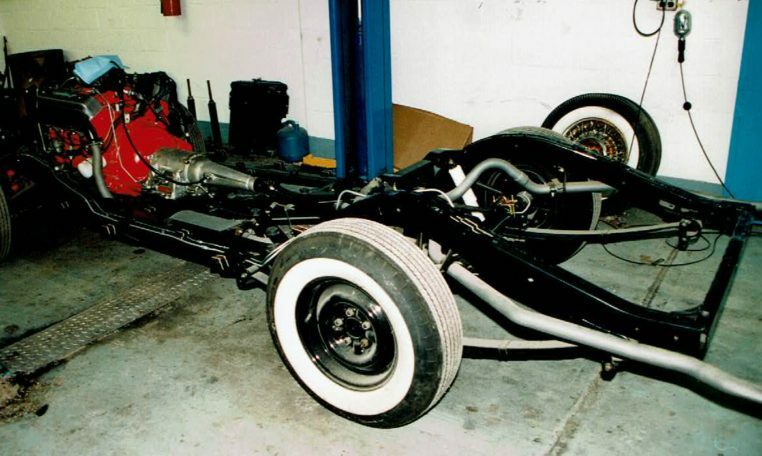 The chassis and suspension components have all been restored. 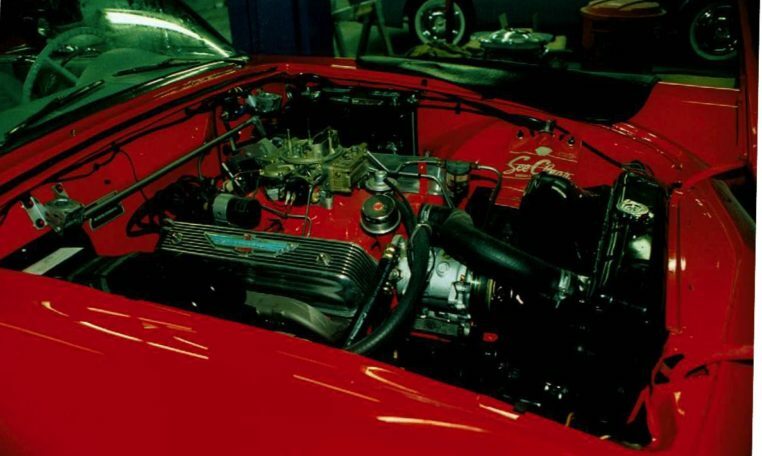 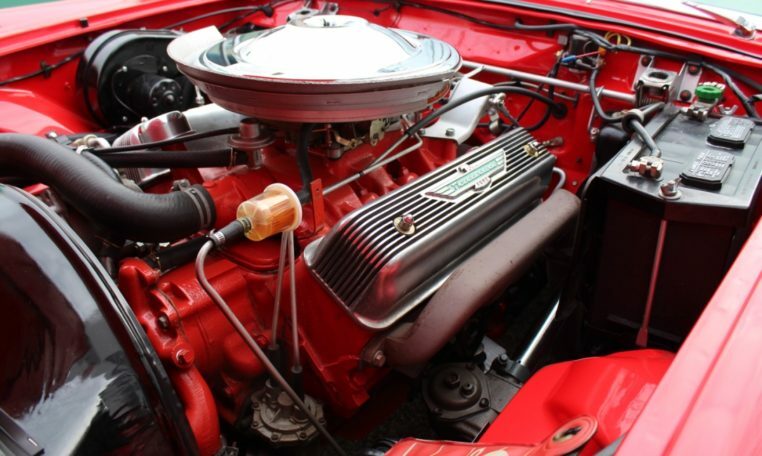 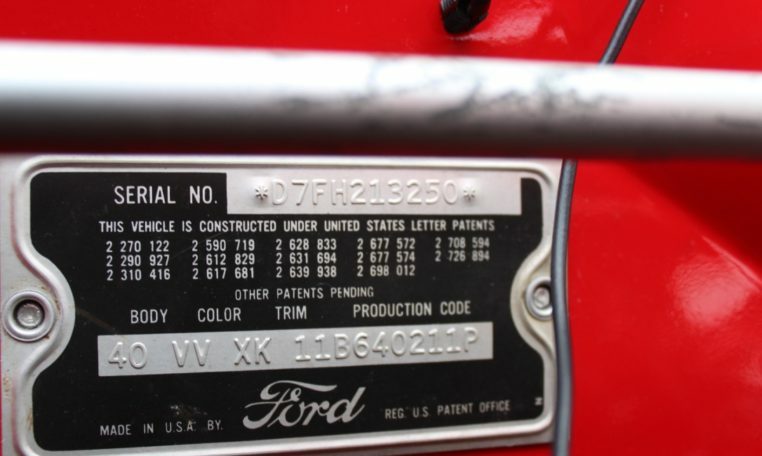 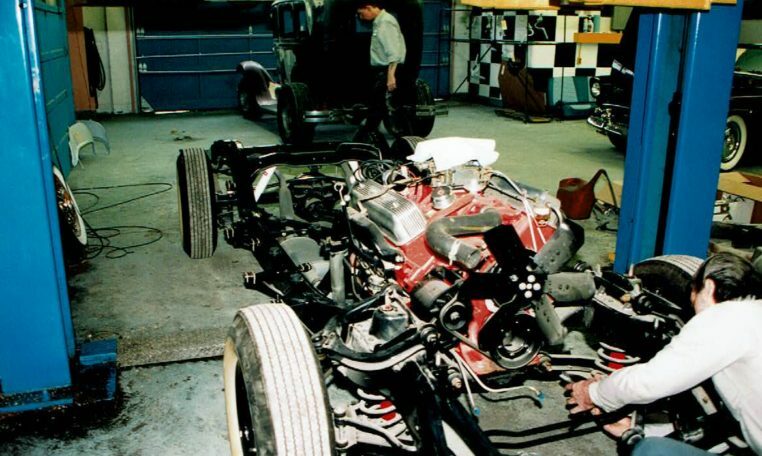 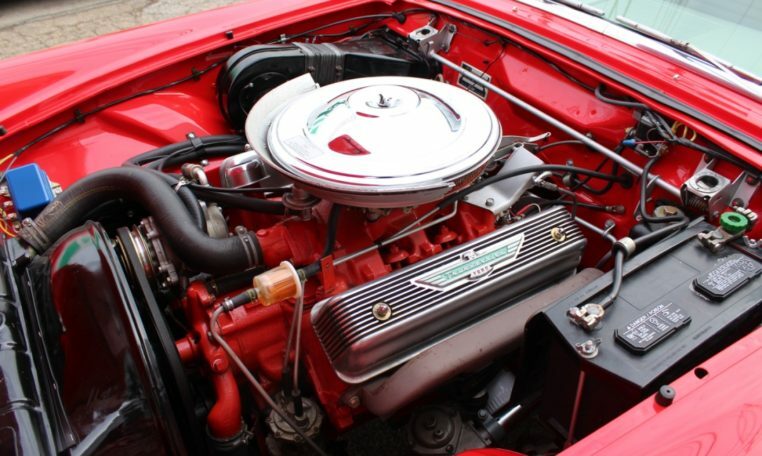 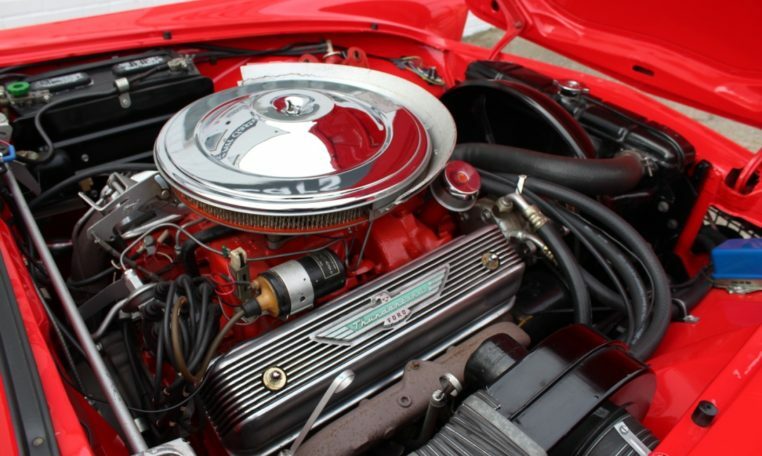 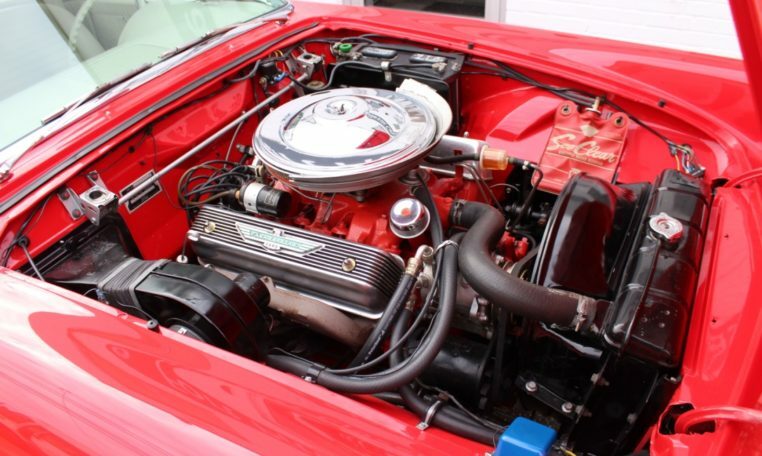 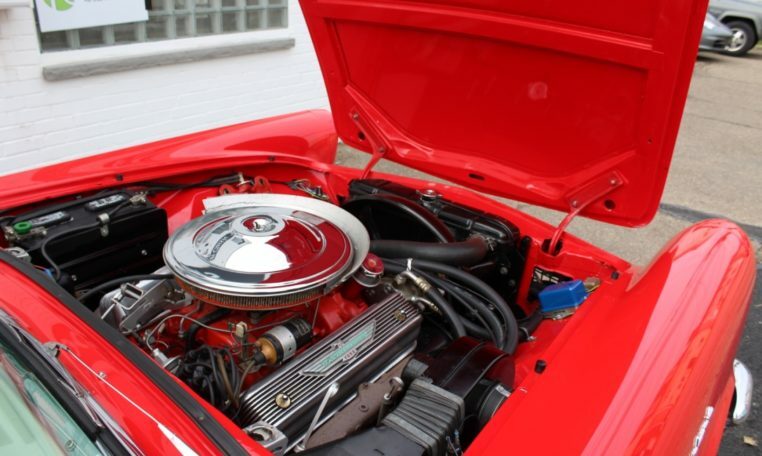 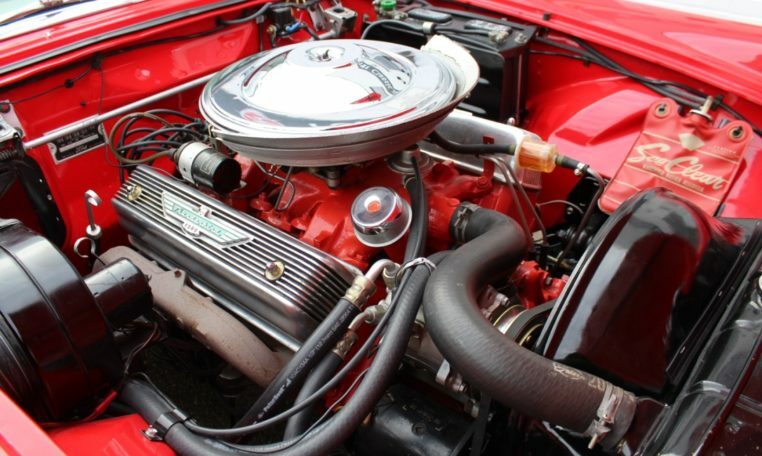 Under the hood is a Y-Block 312 V8 and 4 bbl carburetor mated to the Ford-O-Matic Automatic Transmission. 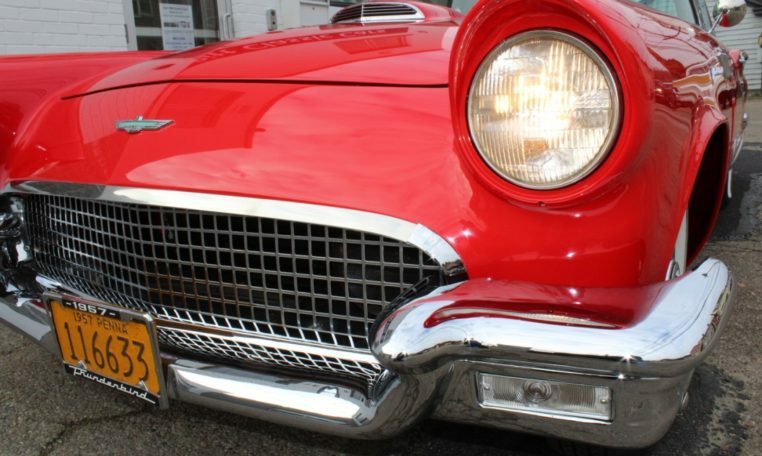 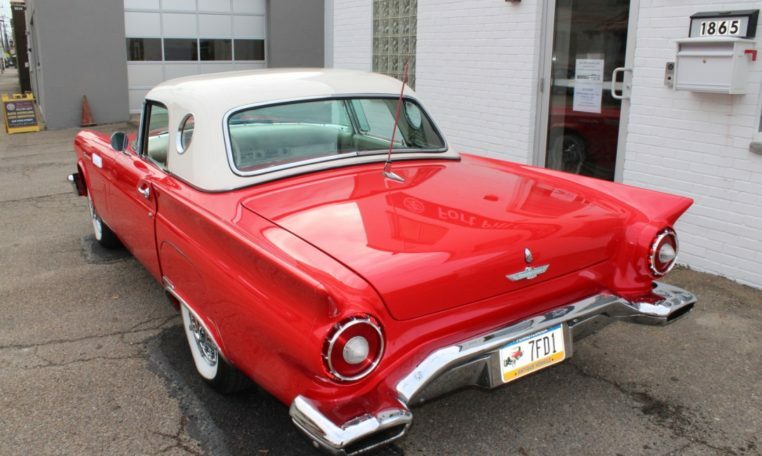 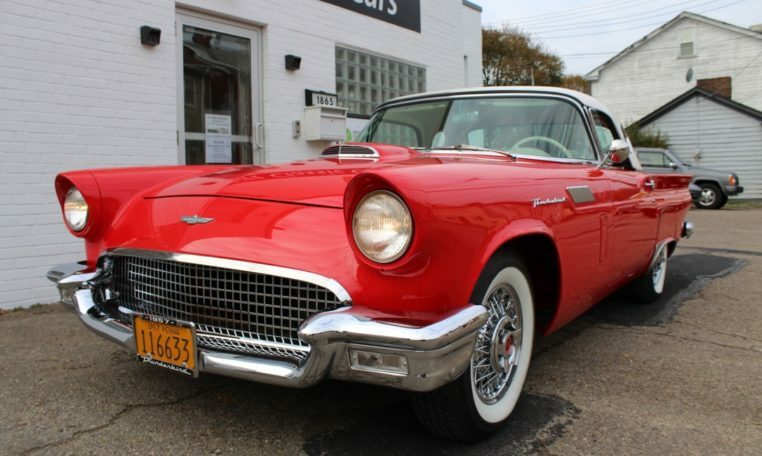 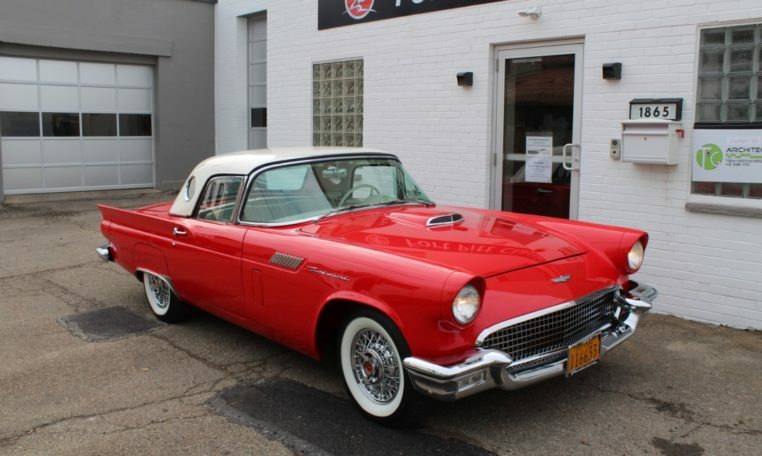 This T-Bird starts up every time without hesitation and runs smooth. 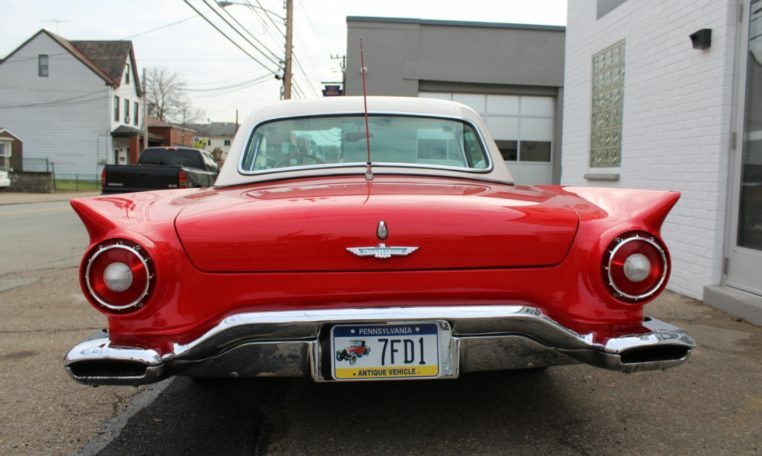 The owner kept the car well maintained and started the car weekly. 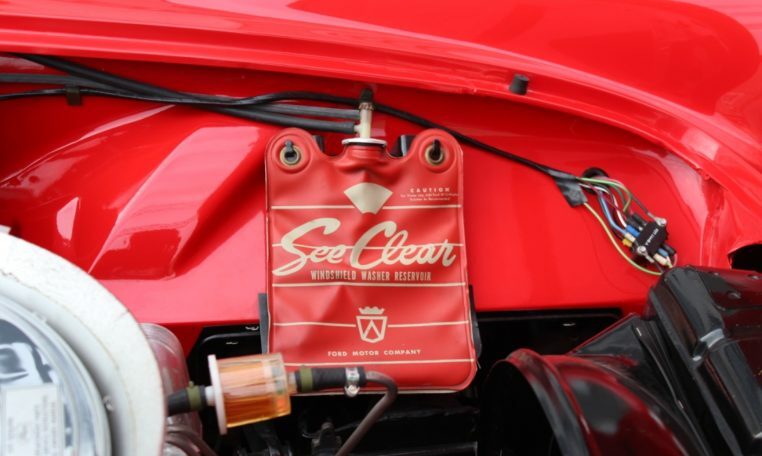 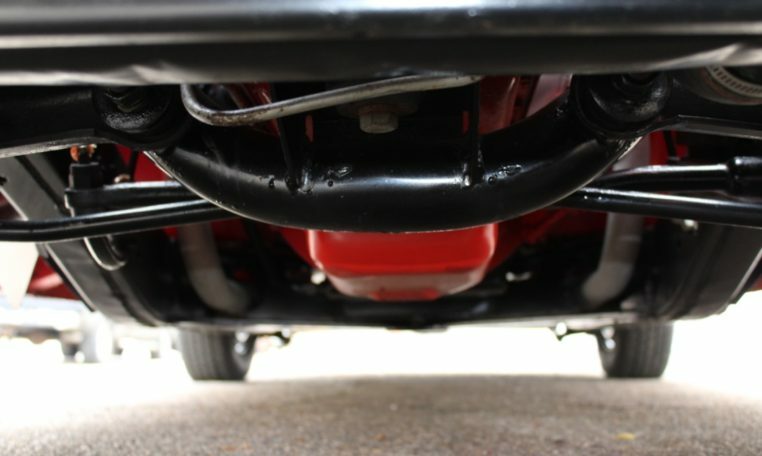 The engine bay area is nicely detailed and grime free with body color inner fenders, chrome air cleaner, and Thunderbird valve covers. 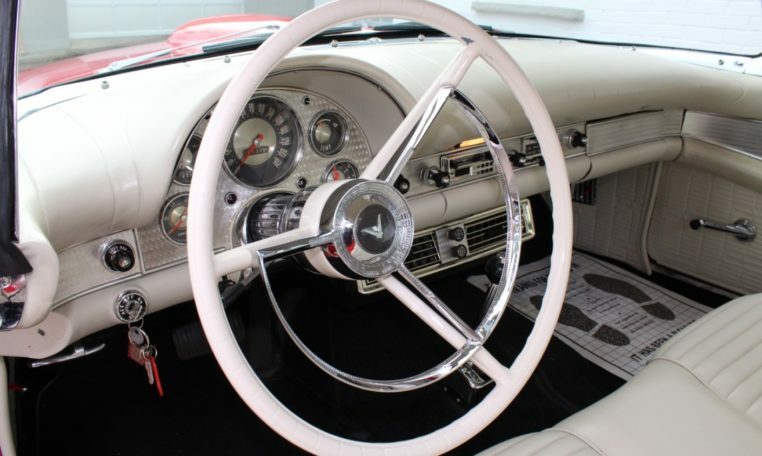 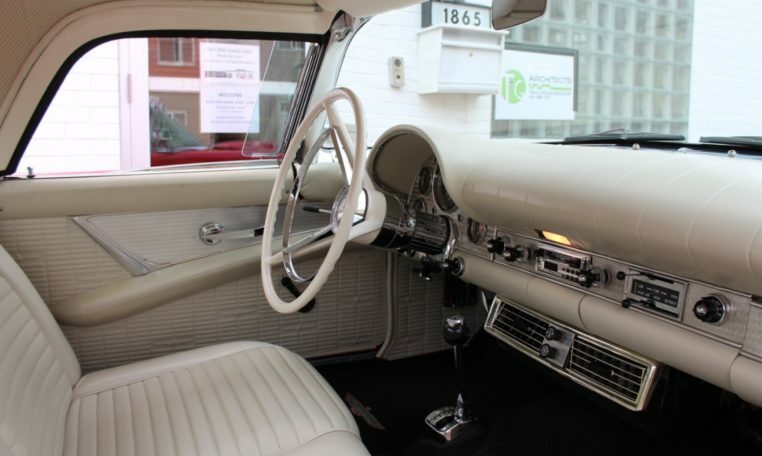 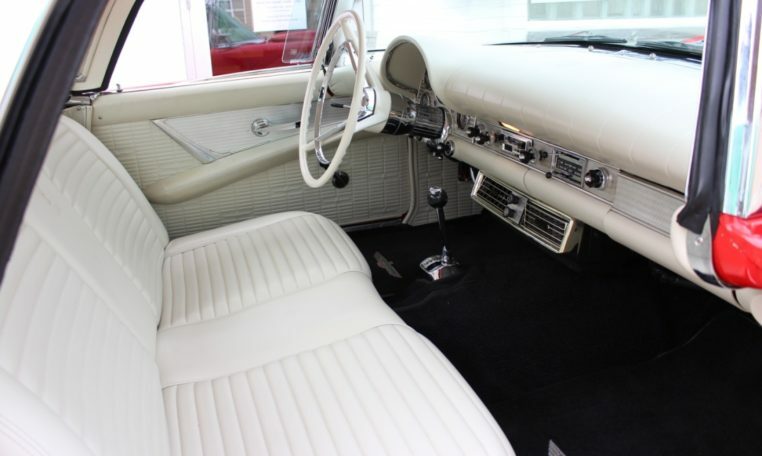 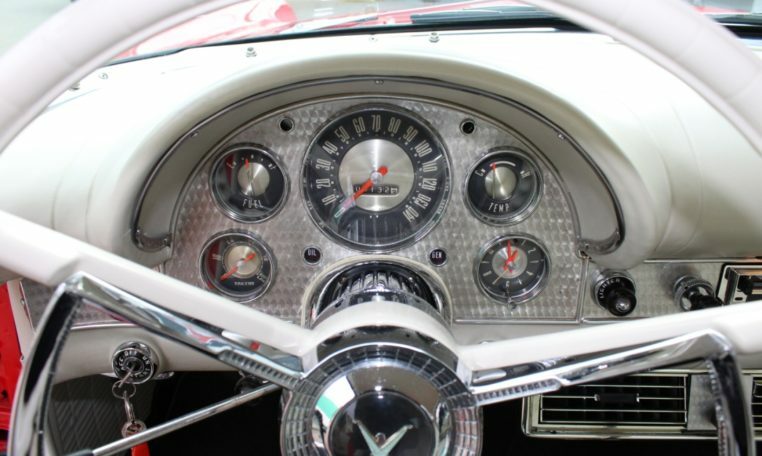 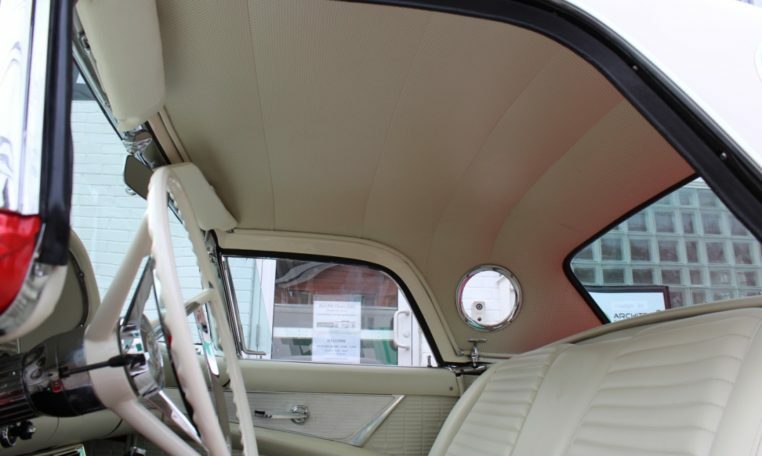 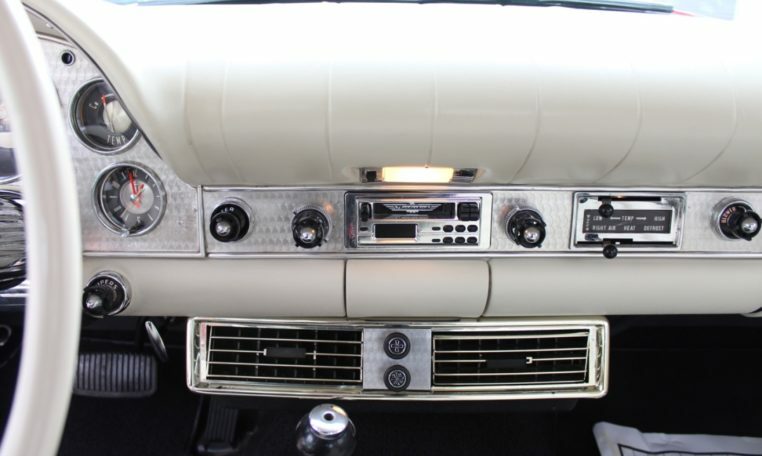 Inside you will find this T-Bird was optioned with the rare all white interior option including white leather seats, white covered dashboard, and white headliner. 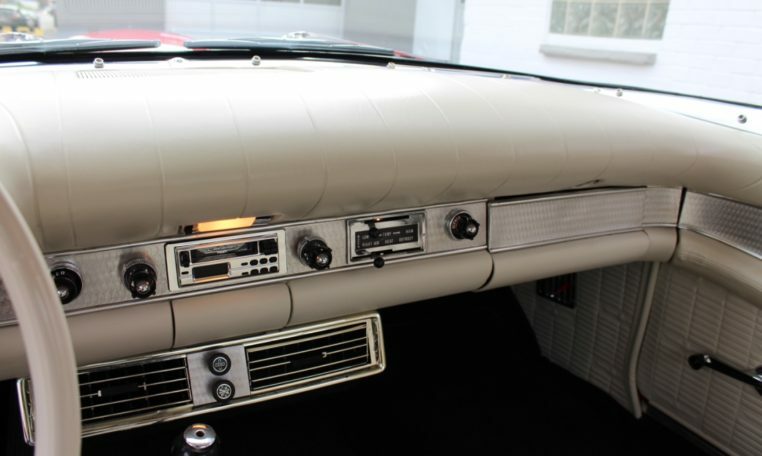 Also included is the factory air conditioning vents below the dash. 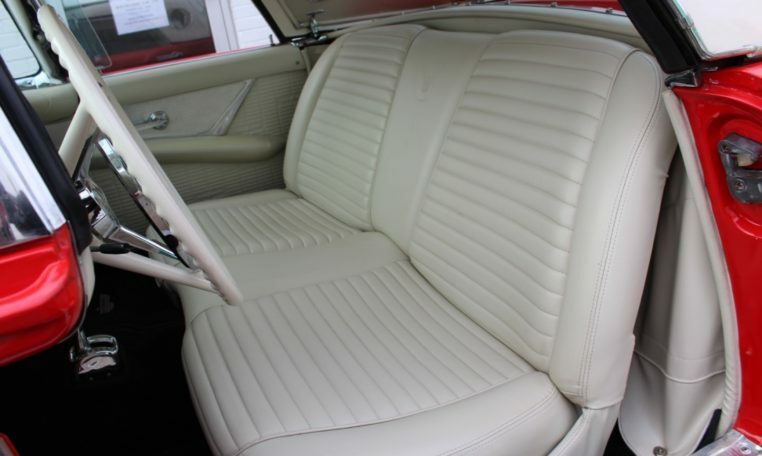 The interior, like the rest of the car is beautifully detailed and in excellent condition. 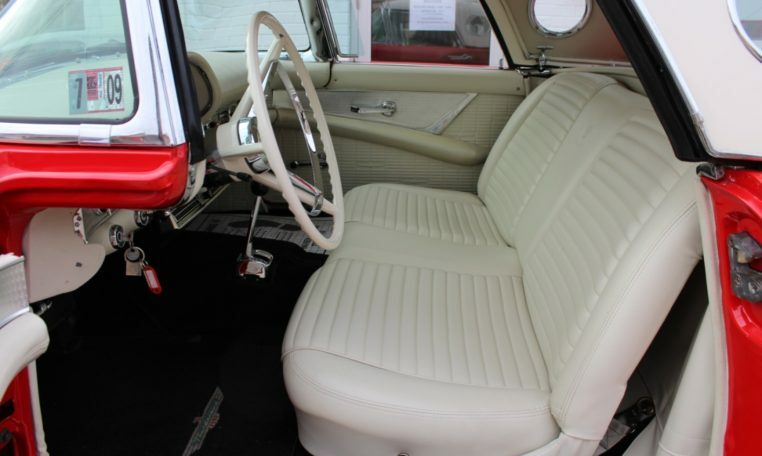 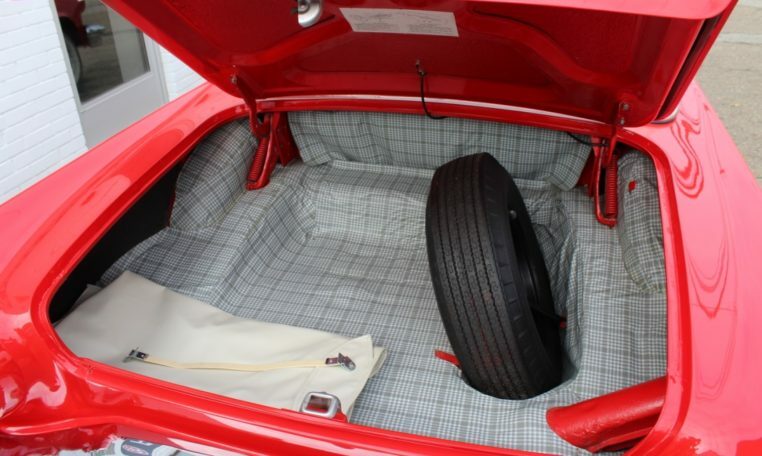 You will find the leather seats are wear free and all the interior surfaces are show quality. 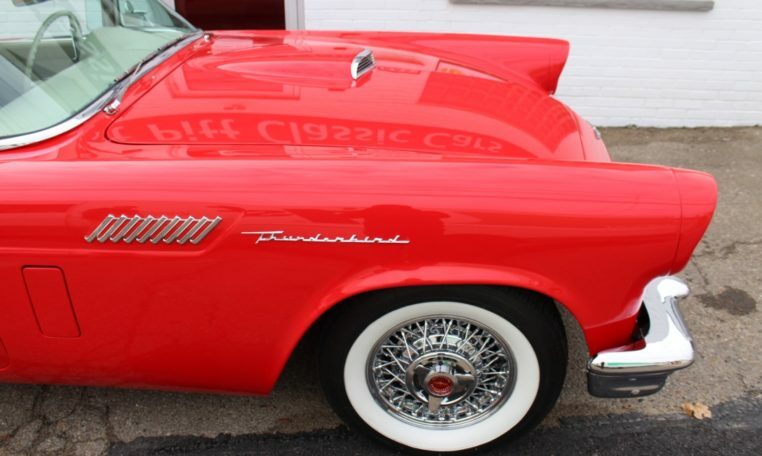 You won’t find a better quality T-Bird anywhere. 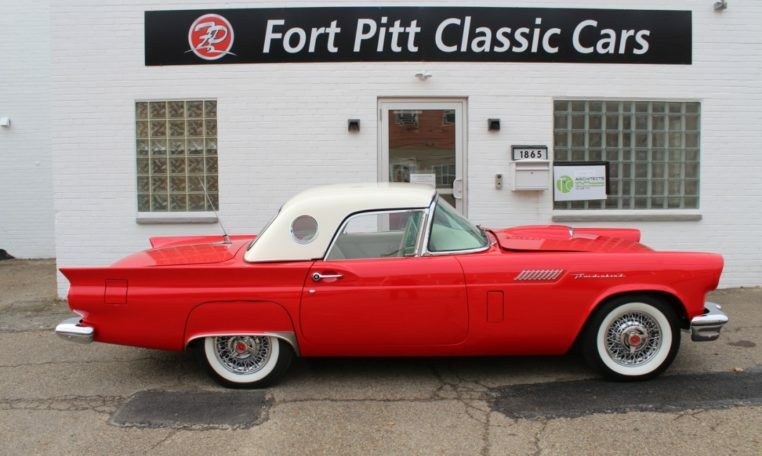 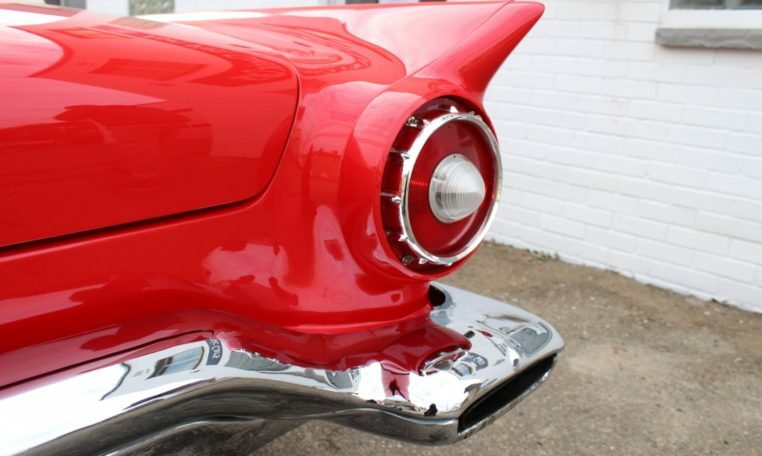 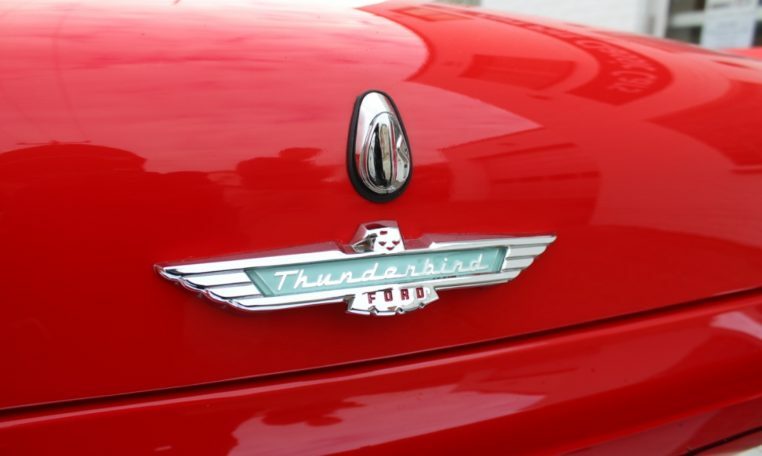 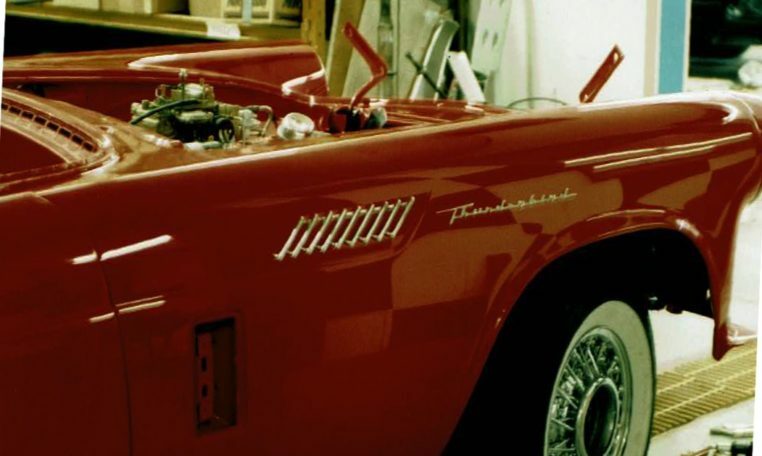 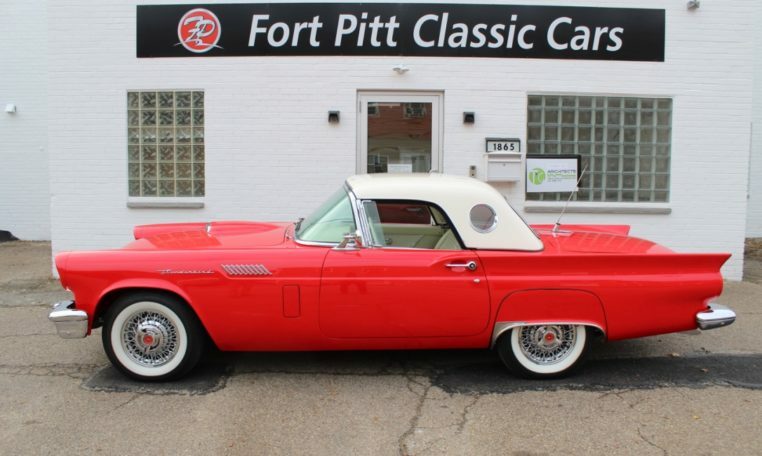 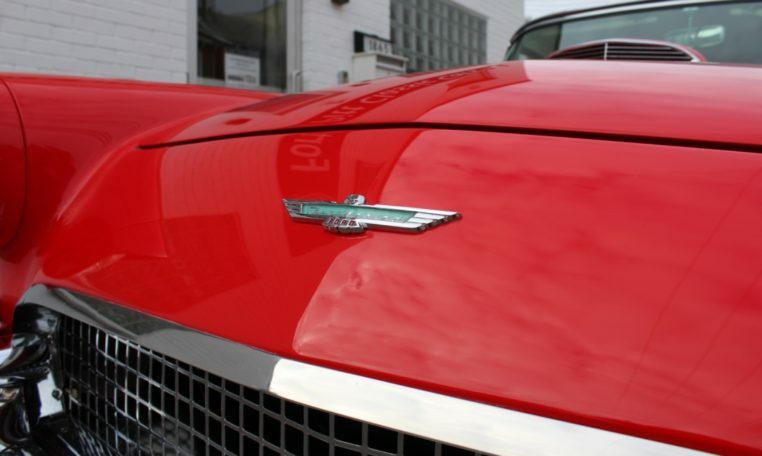 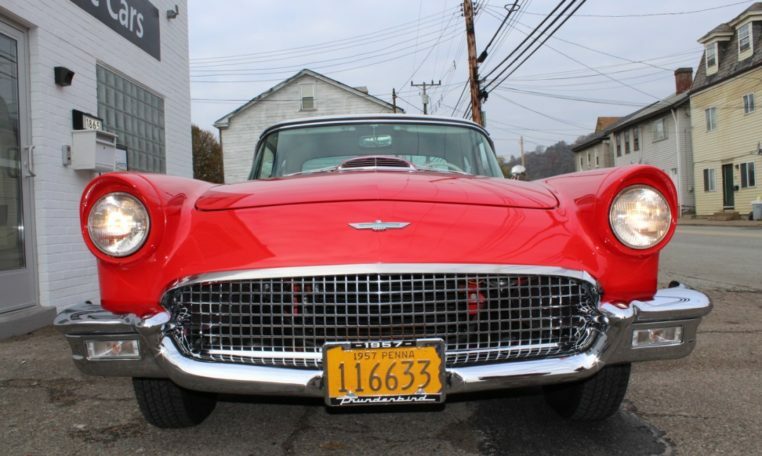 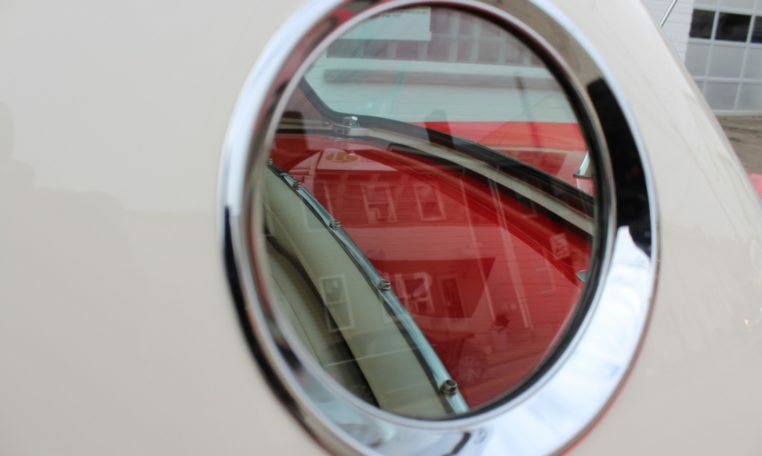 Restored by specialists and meticulously maintained, this flawless Thunderbird will look at home in your collection. 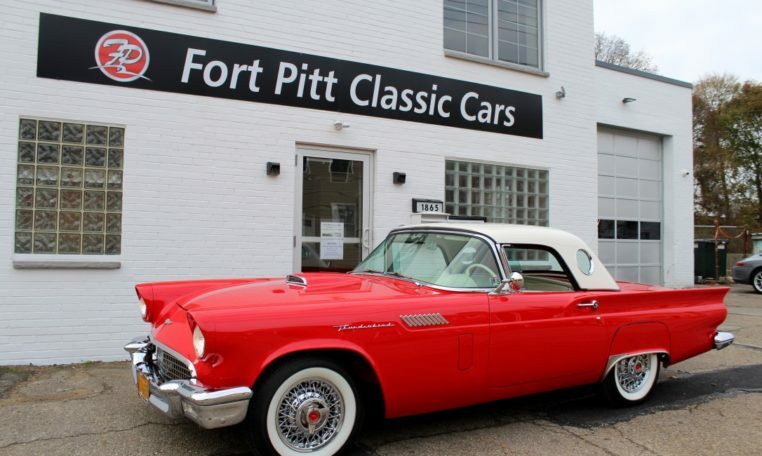 This vehicle is for sale on consignment by Fort Pitt Classic Cars. 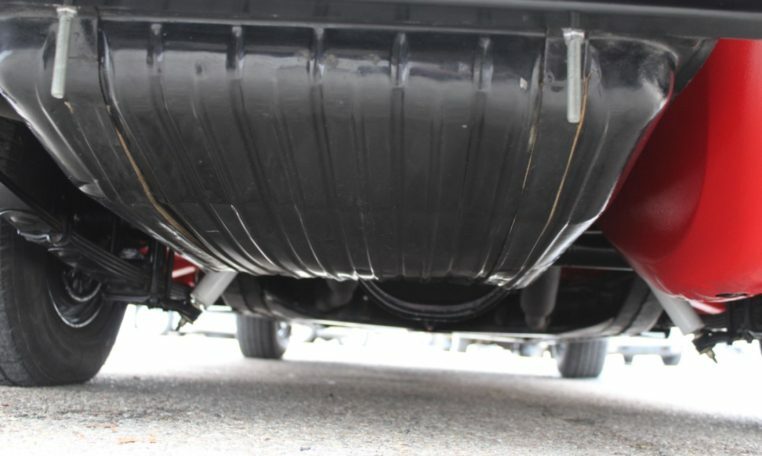 Please contact Andrew with questions.